Before Combat Lem casts heroism before the start of the encounter. During Combat Lem knows he is best in a supporting role, and tries to stay out of melee if possible. 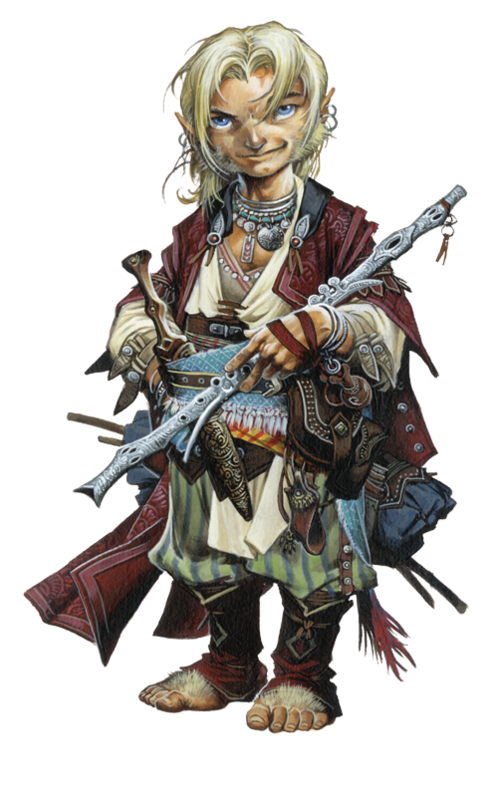 Instead, he uses his bardic performance ability to inspire courage in his companions. In cases where a single enemy presents a particularly large threat to Lem or his companions, the bard uses his offensive spells on that target. Against larger groups of foes, he bolsters his allies with the likes of haste and heroism. Without heroism, Lem's statistics are Senses Perception +2; Fort +6, Ref +9, Will +7; Melee +1 short sword +9 (1d4/19–20); Ranged sling +8 (1d3–1); CMB +3; Skills Acrobatics +10 (+6 when jumping), Bluff +15, Climb +1, Diplomacy +15, Knowledge (arcana, nobility) +15, Perception +2, Perform (comedy) +15, Perform (wind) +17, Sense Motive +10, Stealth +13.